Huawei‘s Richard Yu, CEO of its Consumer Business Group had first disclosed in October 2017 that the company has got a foldable phone in the works. Richard Yu also disclosed that the company already had a working prototype of a two-screen device with only a small gap between both screens that needed to be fixed. Before then, Huawei’s rival Samsung was also rumoured to be working on a foldable phone. That rumour soon blossomed and not long after, the company confirmed it is indeed working on such a device. 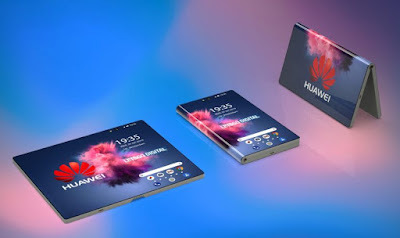 2019 is looking to be the year of the foldable phones and Huawei will indeed be one of the early birds to unveil a commercial model. 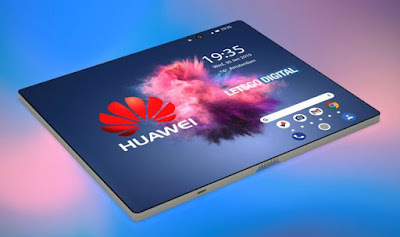 Richard Yu himself had indicated last week at the launch of the Balong 5000 5G chipset that Huawei will present her 5G Foldable smartphone at MWC 2019. 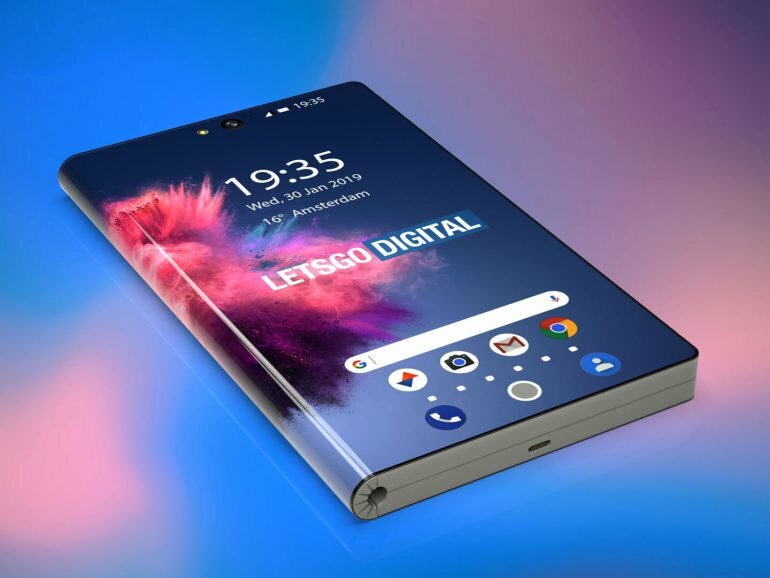 The foldable smartphone is expected to feature the new Balong 5000 chipset which is the company’s response to Qualcomm’s Snapdragon X50 5G modem. Ahead of MWC 2019, tech blog LetsGoDigital has now released 3D renders of the Huawei foldable phone perhaps curried from patent sketches. We are no sure the final design will be exactly like this one. Apart from the attractive graphic design, there are not so many details we can cling on to. Looking at the renders, we cannot tell if the device will fold outwards or inwards only. Since it uses a flexible OLED panel, it is possible the device can open both ways as desired. When it is to be used as a phone, it is folded outward and when not on use, the user may have to fold it inward. Details of the device are sketchy and so, it is unclear if there will be an M-Pen onboard as is the case with the Mate 20 X gaming smartphone. We’ll have to wait until MWC to find out more about the Huawei foldable phone. The Chinese giant has a press conference scheduled to hold on February 24 where we believe the 5G foldable smartphone will be unveiled.